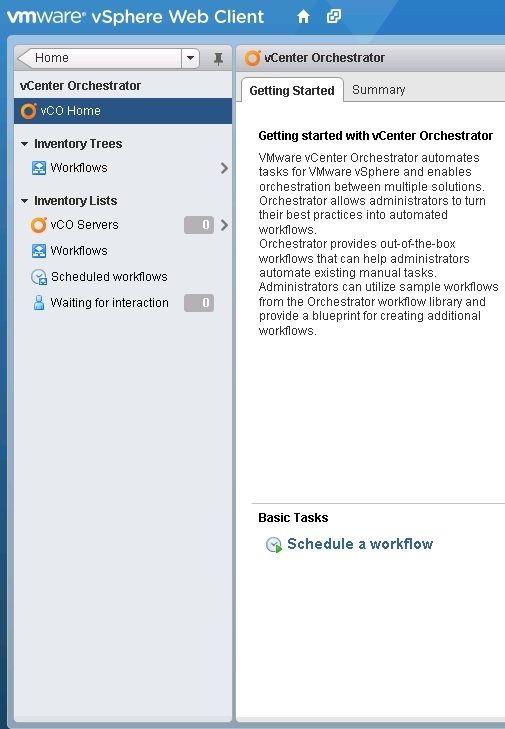 In vCenter Orchestrator 5.1 quite a few number of new features have been added. It´s easier than ever to use for operators and developers. The workflow process have been streamlined and it is now much easier to build a workflow and visually see how the workflow objects relate to each other. VMware vSphere operators can also run or schedule available workflows directly from within the new webui. It´s even possible to develop workflows that automatically inherit input paramters making them more or less automatic to run for operators. This is a first post of the new features in vCO 5.1. Stay tuned for more additional parts looking into the details. During installation of vCenter on Windows vCenter Orchestrator is now installed and configured automatically. Admins do not need to think about databases, directory services etc since config settings is mirrored from vCenter into vCO. vCenter operators can now easily run workflows, schedule workflows from within the same UI they work in on a daily basis. This integration also make it possible to create workflows that have its input parameters automatically populated when they are started from inside the webui. With the new redesigned UI of vCO 5.1 workflow developers can easier build their workflows. Creating a workflow initially is very much a drag-n-drop operation. A workflow developer is not bound to any particular platform as the vCenter Workflow Designer can be installed on Linux, MAC and Windows. Workflow developers can now generate documentation for each workflow and workflow category. No need to manually document your workflows anymore in external applications. Instead use the automatic PDF documentation for one or more workflows. In previous versions there was a REST client plugin and there still is one included. 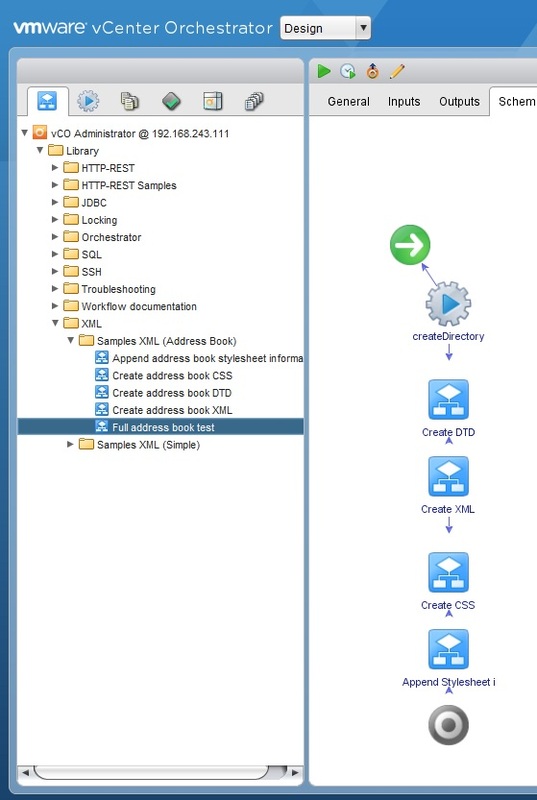 In vCO 5.1 there´s a REST API that you can leverage to talk to vCO and trigger workflows etc. This new REST API supersedes the SOAP interface available in previous versions of VCO. Do I have to say more. vCo now fully support IPv6. Atm all VMware developed vCO plugins support IPv6. This entry was posted in Automation, vCenter Orchestrator. Bookmark the permalink.